Currently out of stock. Please check back again soon! 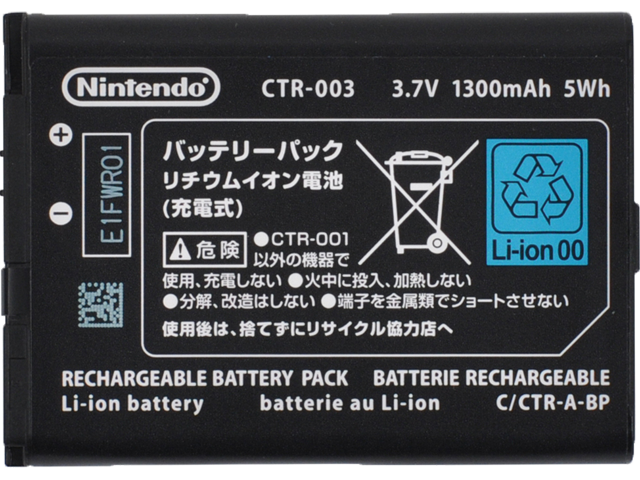 This battery is a replacement for the one included in every Nintendo 2DS™ and Nintendo 3DS™. If your system is not charging or holding a charge properly, we recommend checking our troubleshooting before deciding on a replacement. You'll need a small phillips tip screwdriver (not included) to open the battery compartment before you can replace the battery. Note: Due to shipping restrictions, lithium ion batteries can be sent via Standard Shipping ONLY. A maximum of 2 lithium ion batteries per order. For information on battery recycling, please click here.